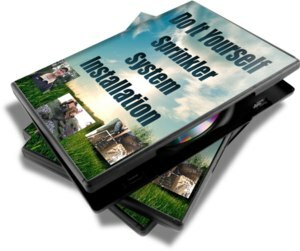 In the Spring, I always get calls about the various steps in the process of turning on a sprinkler system. In most areas, sprinkler systems get winterized in the fall. 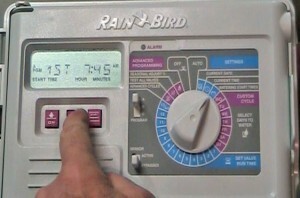 This means the water will be off and drained from your sprinkler system. Below the Video there are written instructions and pictures. In most areas, sprinkler systems get winterized in the fall. This means the water will be off and drained from your sprinkler system. To begin, find your backflow preventer. This is usually found on the outside of the house. It will typically have two ball valves and some pepcock valves. Using a screw driver, make sure the pepcock valves are closed. Close the ball valves, sometimes you will need channel lock pliers to do this. Now you’re ready to turn on the water to the sprinkler system. Always remember to fill your sprinkler lines slowly. 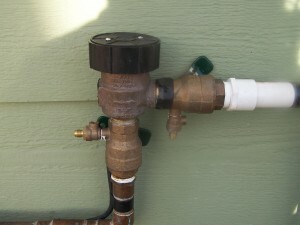 The valve to turn on the water is usually near your water meter inside the house. Turn the valve handle slowly to fill the lines between there and the backflow preventer. Once the line is filled, go to the backflow preventer and open the lower ball valve. This is the one closest to the water source on the backflow preventer. This will close the check valve and supply water to the second ball valve on the backflow. Sometimes water will dump from the top or bottom of the backflow preventer. This is normal. Turn on the second ball valve 1/3 of a turn and fill your mainline. This is the line between your backflow and the irrigation valves. Remember to fill the line slowly to prevent a hammer on the mainline. Programming your controller is next. All controllers have the same basic functions. The most common mistakes made when programming the controller is having the current time off by twelve hours and having the program start times entered incorrectly. If your controller was plugged in all winter it may remember the settings, but it is best to check. If you have a battery installed, now would be a good time to replace it. Turn on each zone individually or in test mode and check your zones outside as they run. Always check for leaks. While each zone is running, check each sprinkler head, making sure it is operating and spraying correctly. Open all of the irrigation valve boxes and check for leaks while the irrigation system is running. I always tell my customers that rotor heads run for 20 to 30 Min, and spray heads run for 10 to 18 min. Also remember that the north side and shady parts of the yard may not need as much time to water and sunny areas may need more time. This will help your yard stay greener and save water. Water shooting in the air, standing water, and bulges in the turf are all signs of a problem. If this happens, turn the water off to the system so that it doesn’t waste water until it is repaired. That should do it, I hope this helped and that you enjoy a long trouble-free season after turning on your sprinkler system. This video loads slow for some people. It is the same as the one at the top. Thank you for this wonderful website of yours. I got my sprinkler system turned on finally. It seems to be working fine, but I will check it again in daylight tomorrow. If you ever have anything to let me know, I will say that since I lost Rose I do not check my e-mails often. If you have to get a message to me (like in the fall when you will be again blowing out the lines) it is better to phone me. My land line is still the same: 605 343-6202 and my cell phone is also still the same: 605 786-2604. This is the best advertising you can get . . . word of mouth of satisfied customers . . . and I will tell people about you and your good work. God Bless You, Jarrett. I am sure the Lord will bless you with plenty of work throughout your lifetime. Thanks alot Greg, We are very thankful for customers like you. Thankfully God has blessed us with many of you. First of all, I would really like to appreciate the effort you have taken to write such an insightful article on Sprinkler systems and its maintenance. I would also suggest you to elaborate the technical know-hows in much more details, like regarding the one related to microcontroller.Maintenance of sprinklers at times can turn out to be a tiring prospect and I have been a victim of it.